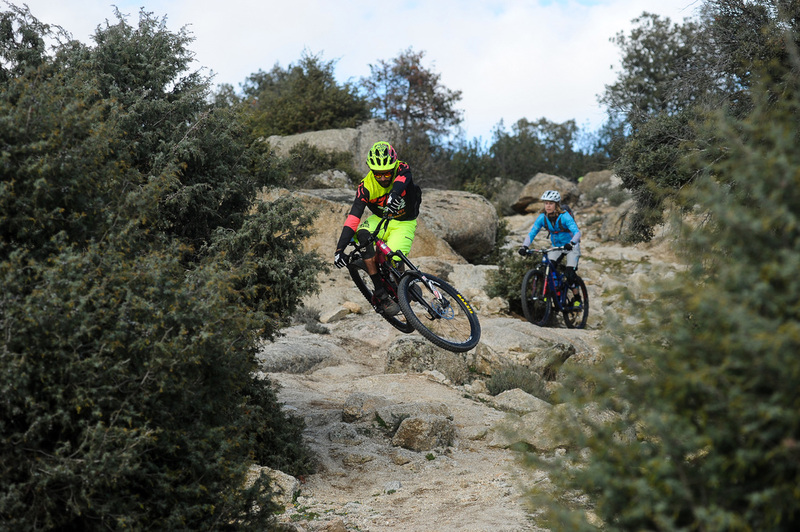 "Great trails with different types of terrain ", it´s one of the statements from our guests. 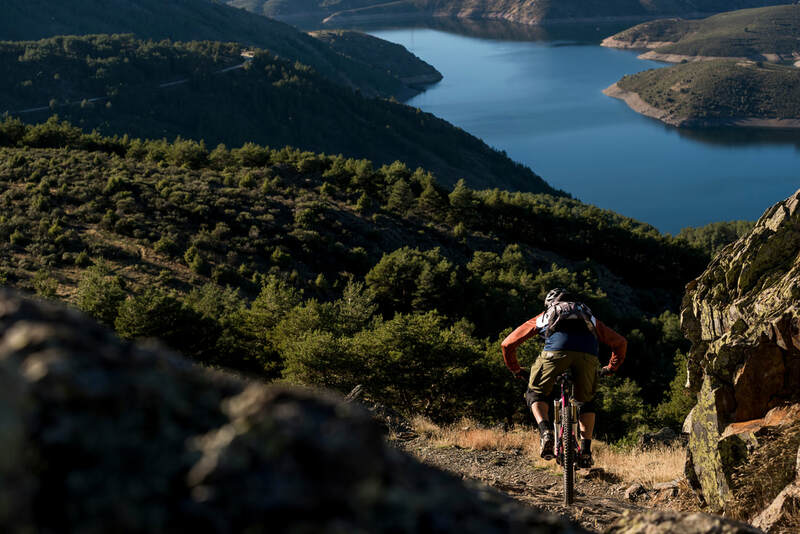 ​La Sierra de Madrid is composed by a mix of valleys that combine a great variety of terrain and trails, making each day complete different to the others and your mountain bike holidays in Madrid a unique experience. 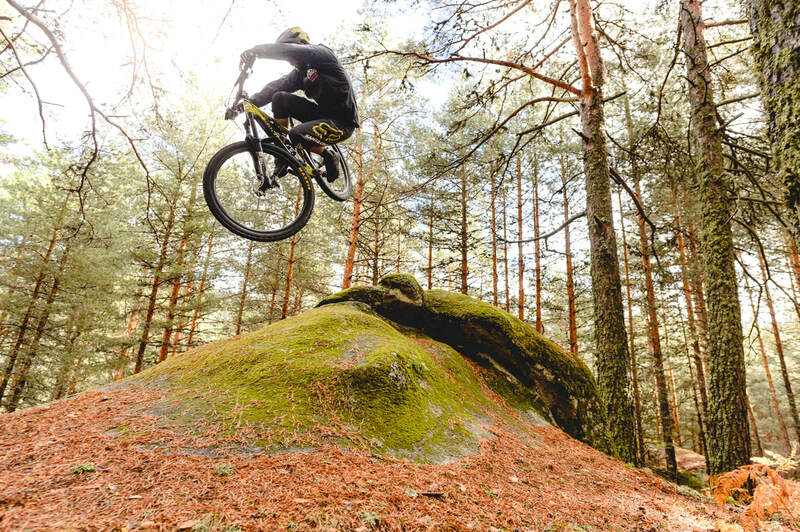 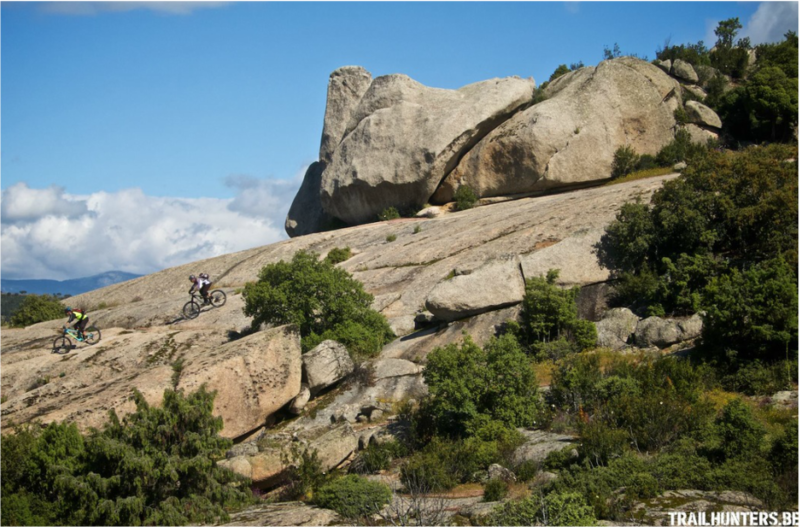 ​Scroll down to discover some of the spots that you will ride when visiting us. 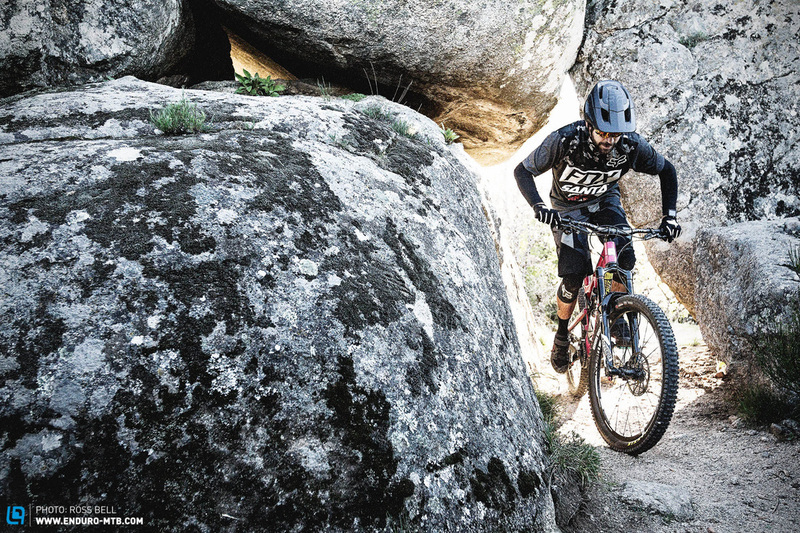 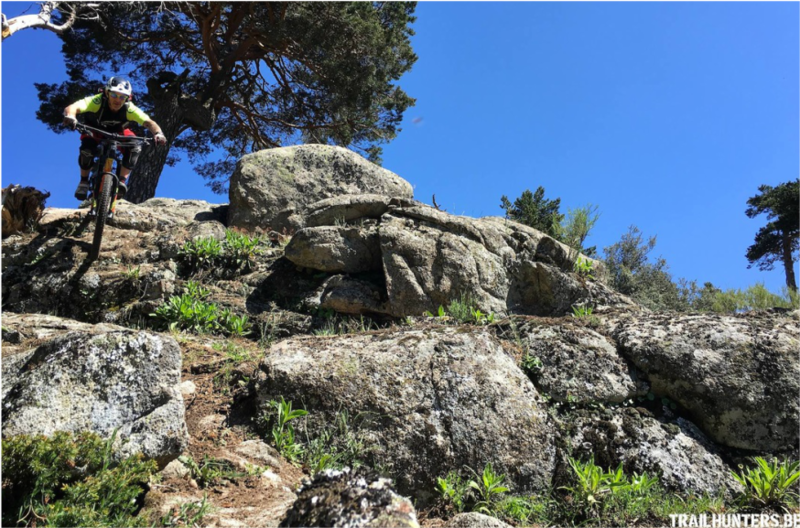 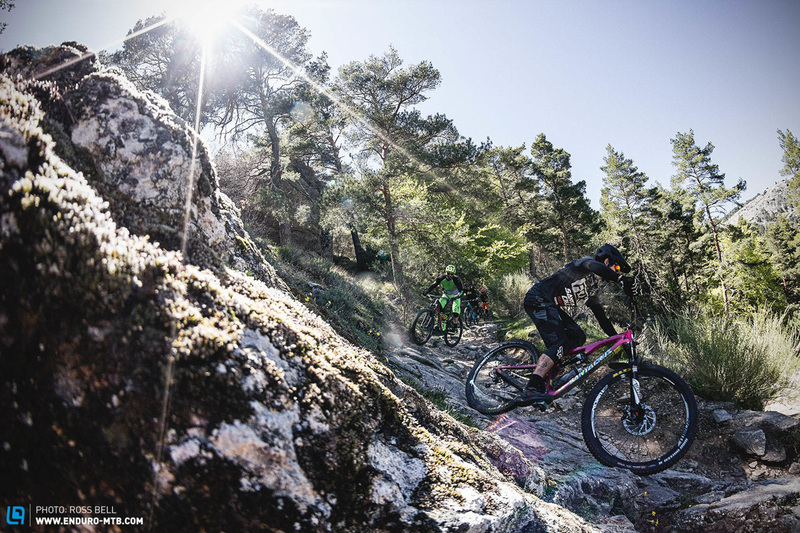 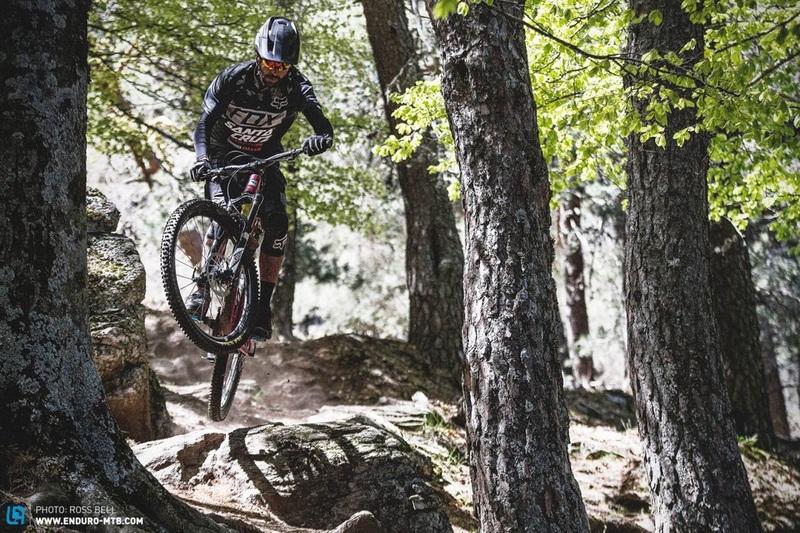 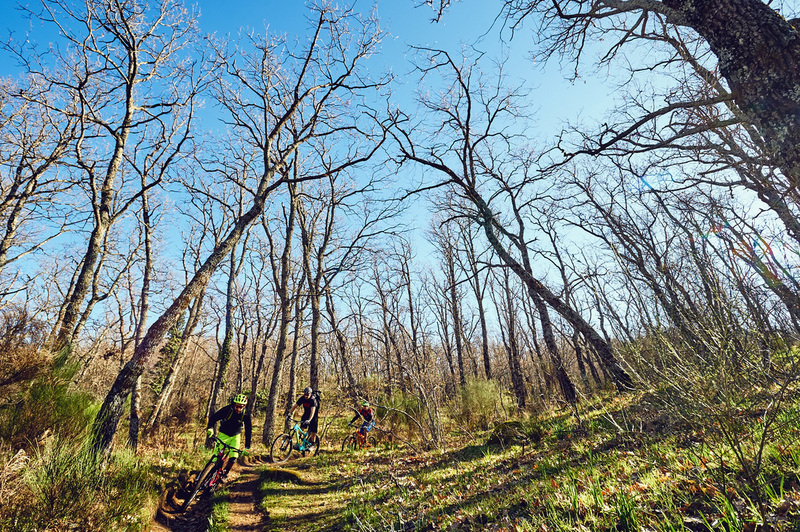 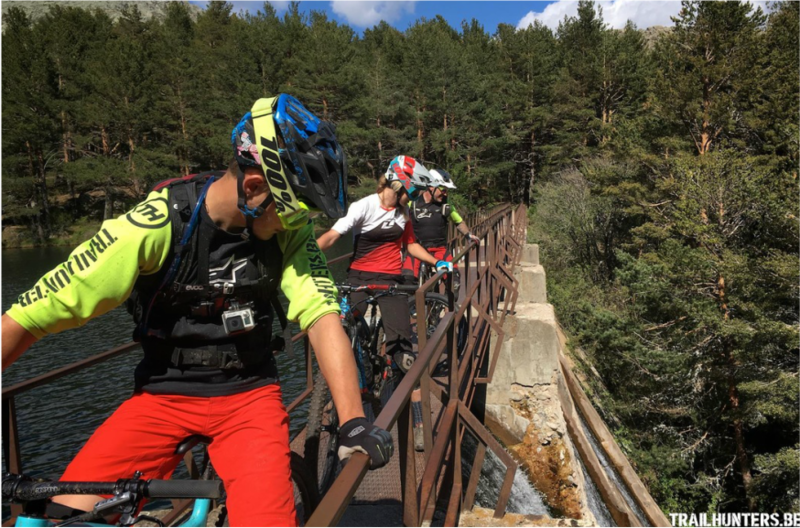 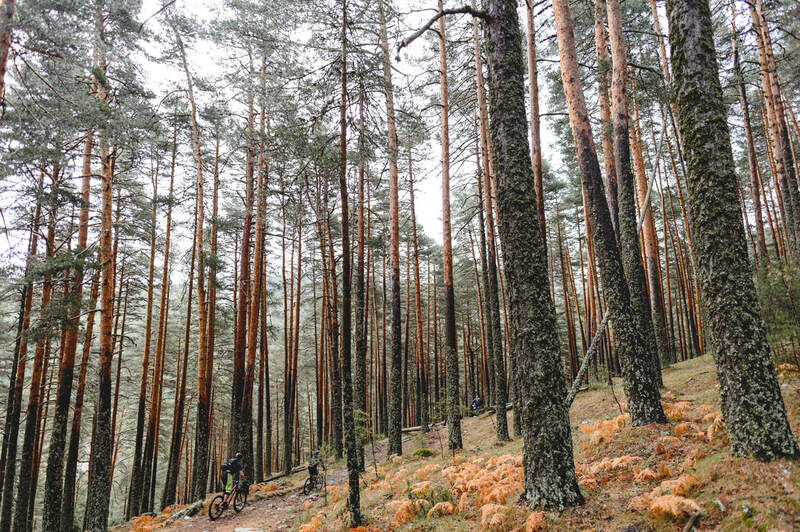 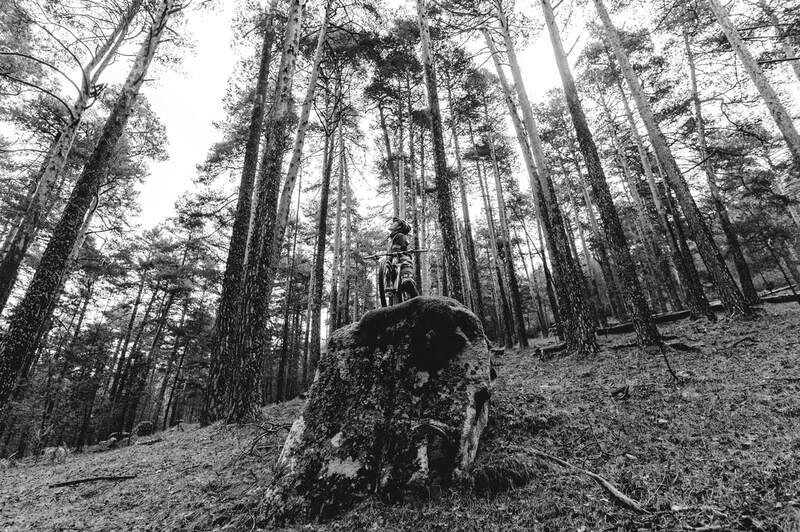 Packed of singletracks, and popular for its ups and downs, Hoyo is a mythical MTB area in Madrid, with trails that go from flowy trails to the gnarliest paths in the Sierra. 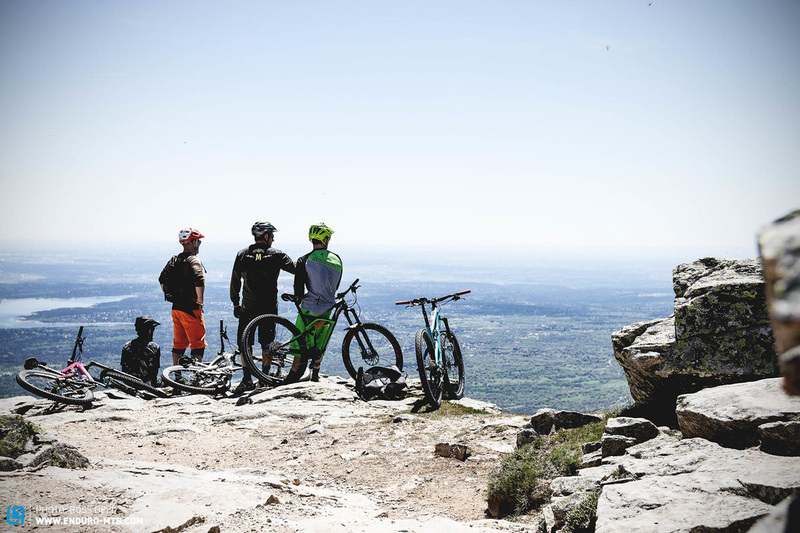 We use to ride here the first day to start getting the feeling of the group and decide the planning for the rest of the week accordingly. 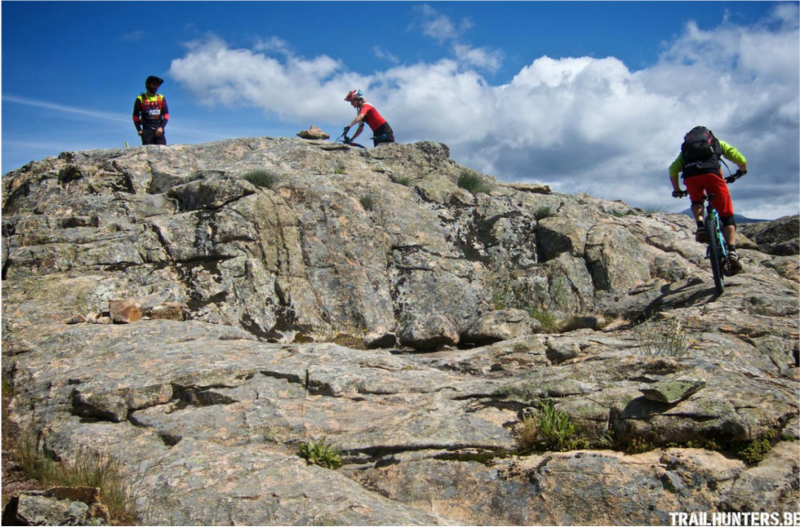 Click here for more stories about Hoyo in our blog. 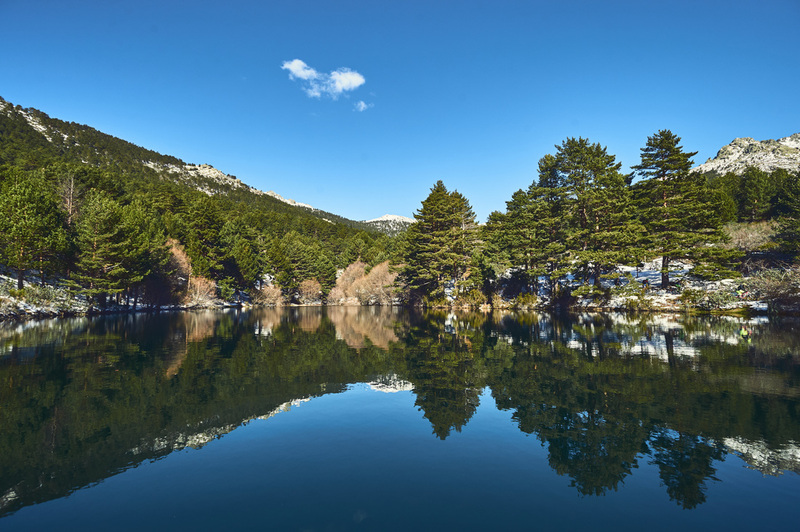 The location of El Escorial it´s quite unique, with the Abantos peak creating a natural border between Madrid and Avila. 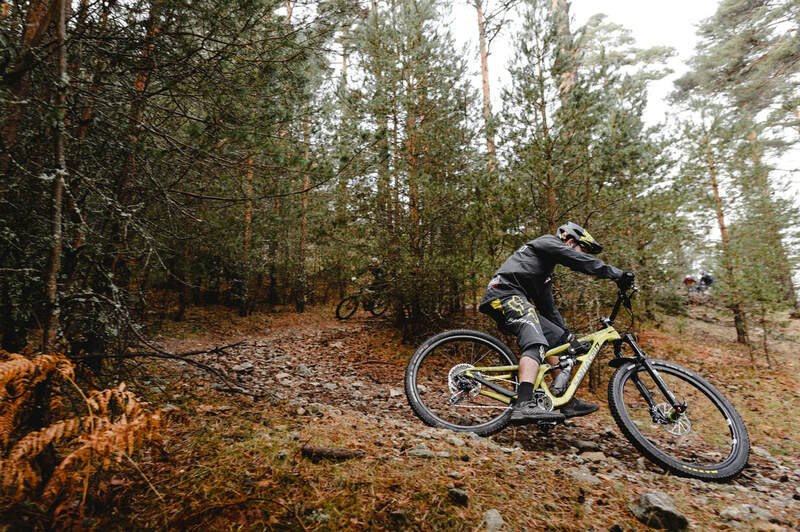 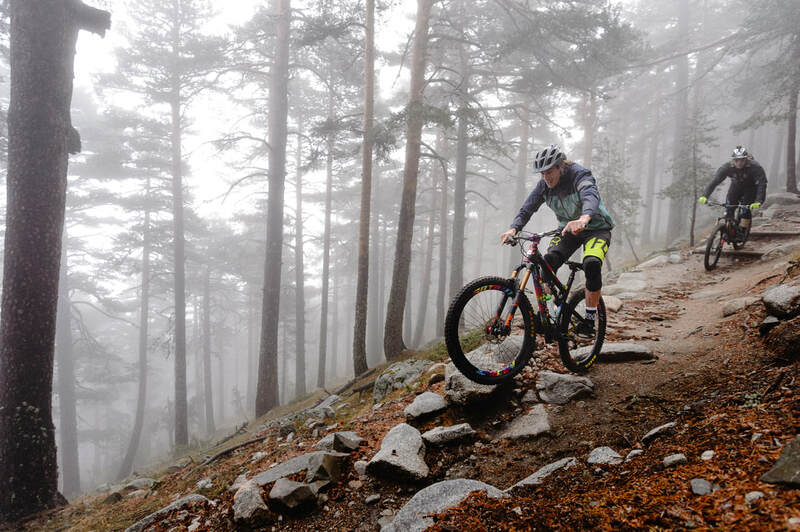 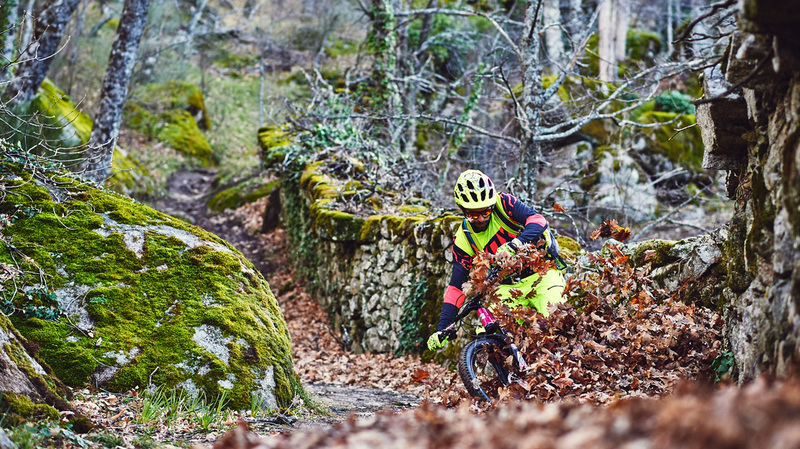 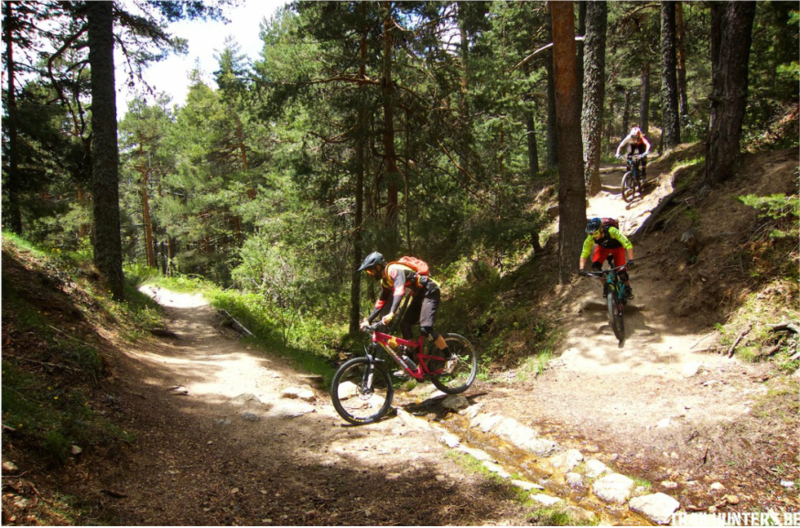 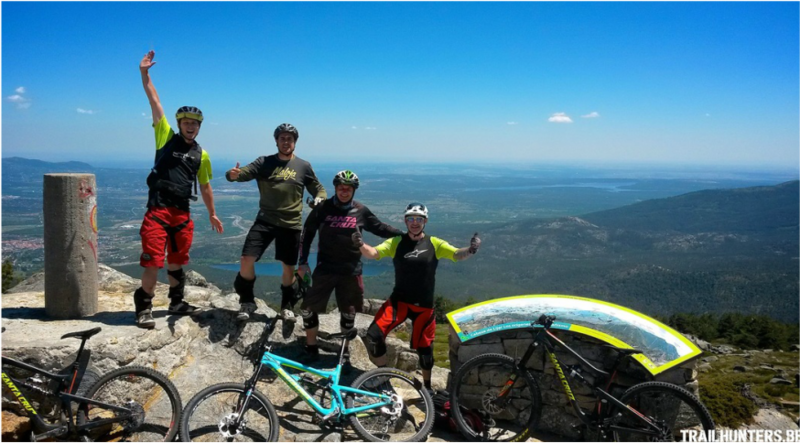 It is a highly historical area, with the Royal Site of El Escorial down the valley and a great network of singletracks surrounding the whole valley. 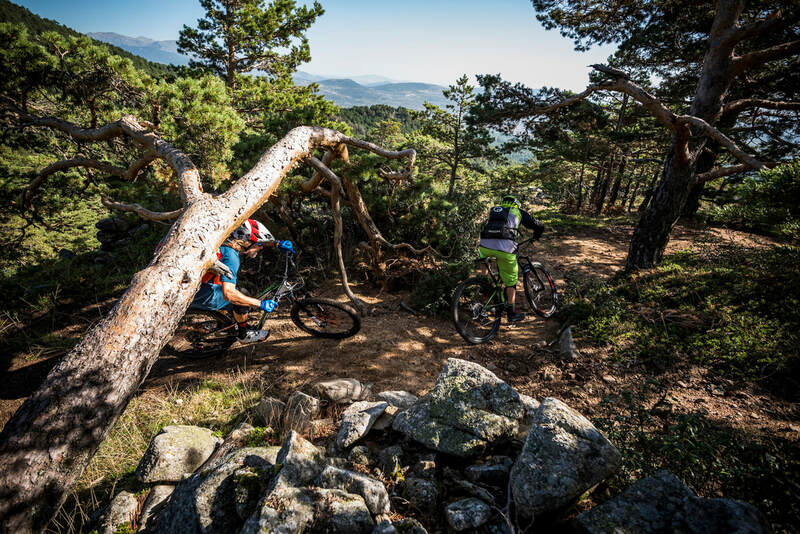 Click here to discover more stories about El Escorial. 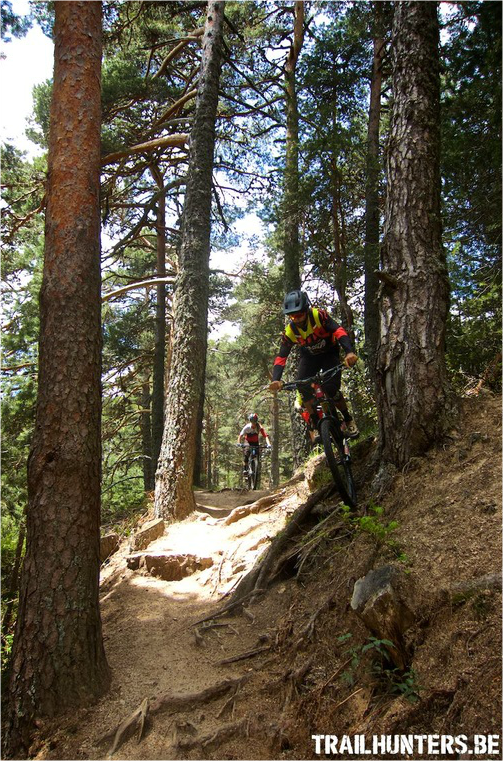 From Moralzarzal to the highest peaks of the Sierra de Guadarrama in the area of Cercedilla and Navacerrada, we start to find pine tree forests and probably the longest climbs and descends in the Sierra. 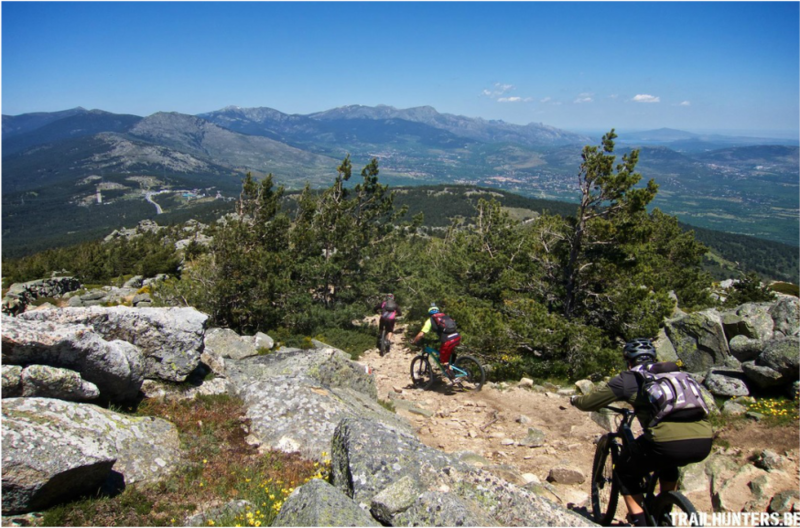 We love to combine the ride here with an uplift using the ancient train that goes from Cercedilla to the Puerto de Navacerrada ski resort and finish with a bbq at the Chalet. 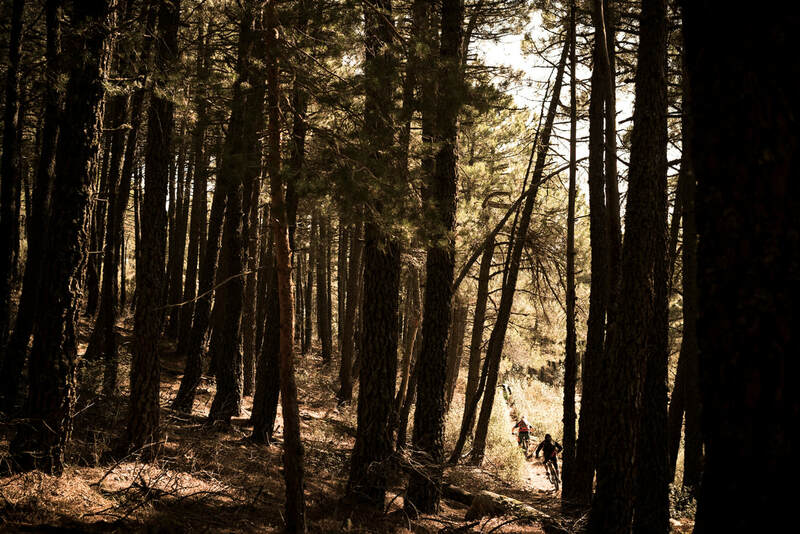 In between Madrid and Segovia, we climb high altitude through diverse type of terrain, from rough trails to flowy forest singletracks and rock rolls, drops and technical paths along the way. 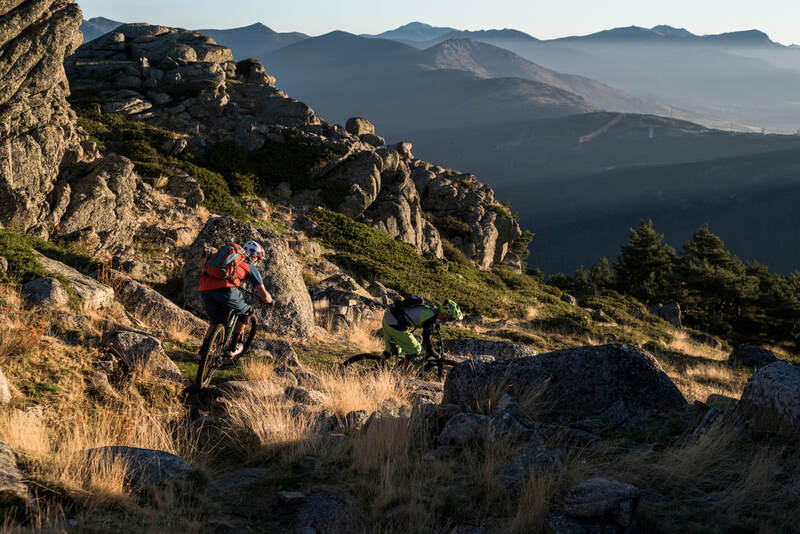 It is such a great ride with amazing landscape and truly into the essence of the Sierra Enduro. 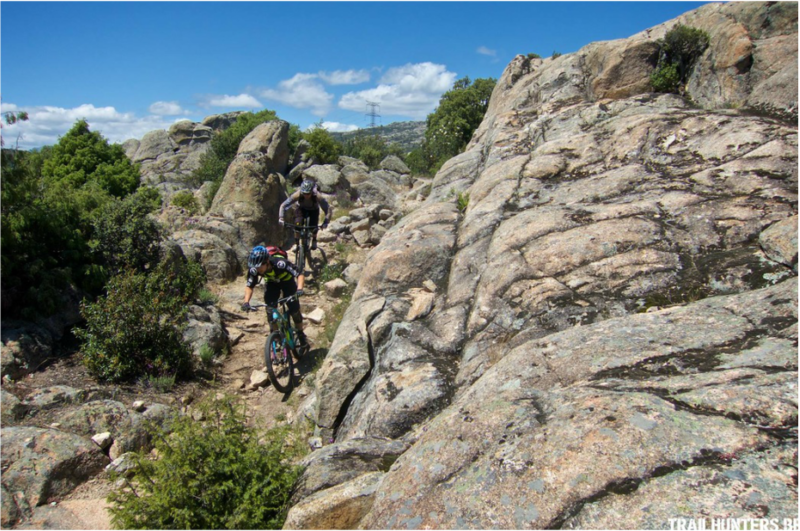 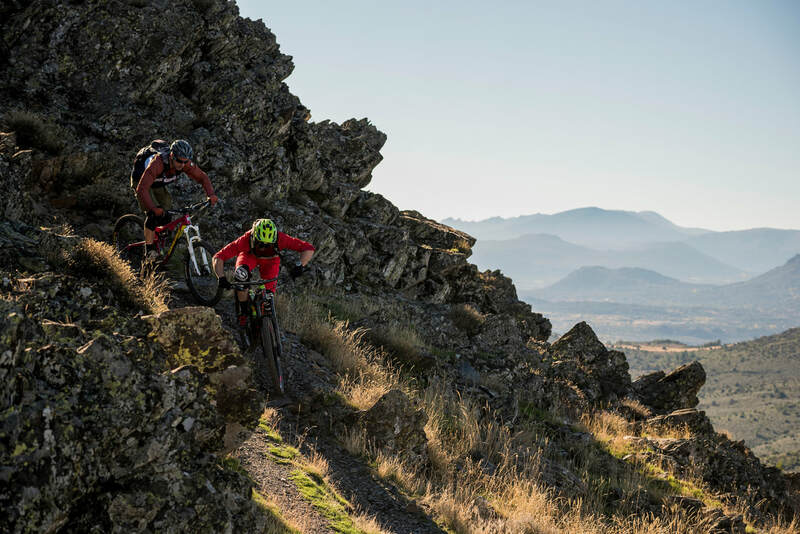 Hard climbs, beautiful landscapes, sharp black rocks, flowy singletracks, gnarly paths... 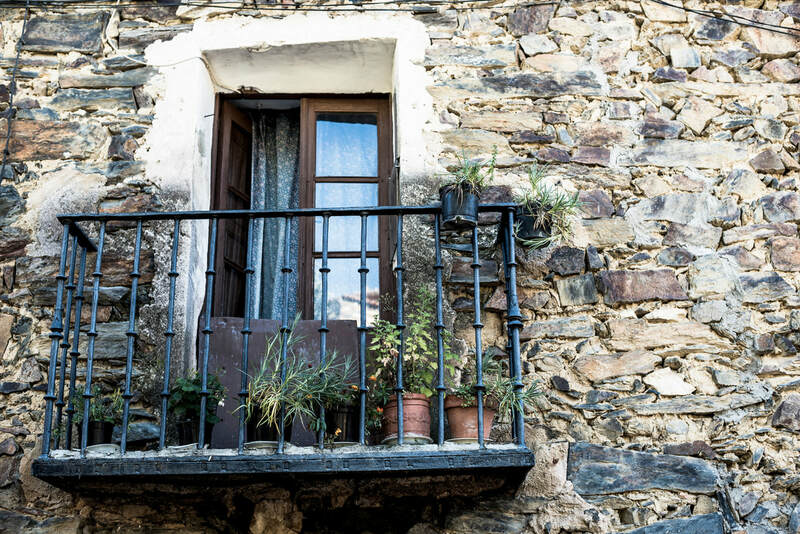 The BlackTowns area is not for everyone. 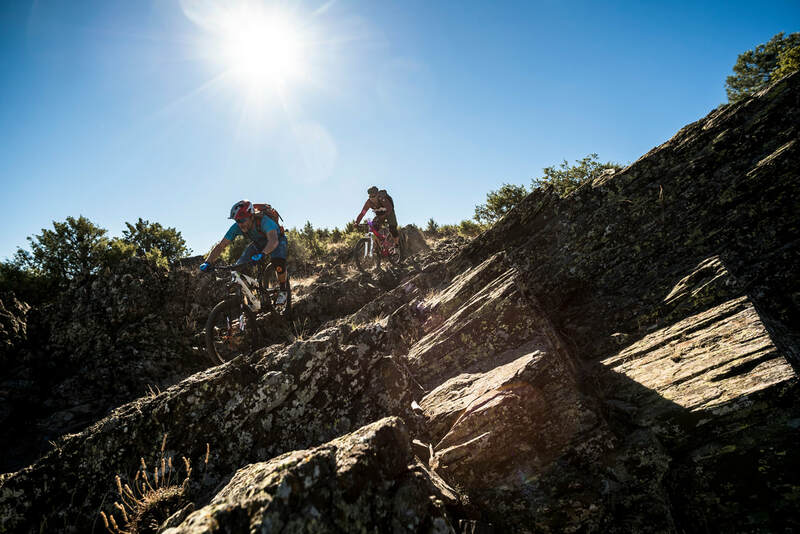 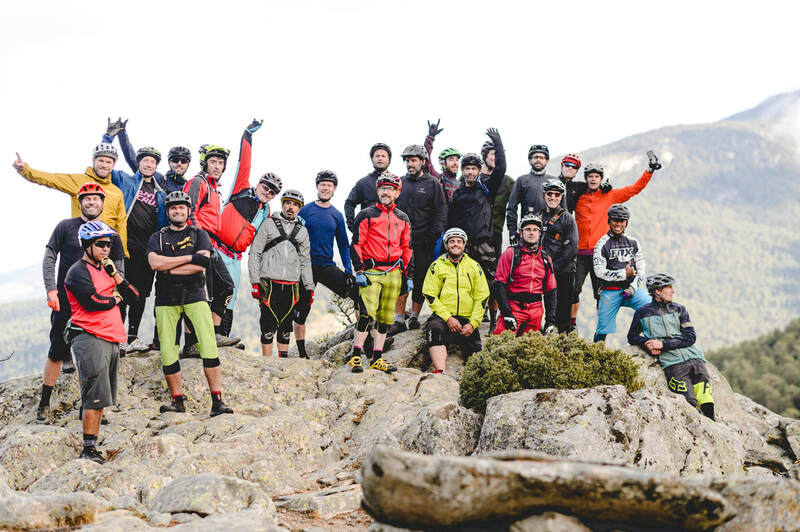 We ride here with the expert groups, so we can leverage all the potential of this Enduro paradise, where you can be amazed of being in a remote looking area, just 45 minutes away from Madrid´s downtown madness. 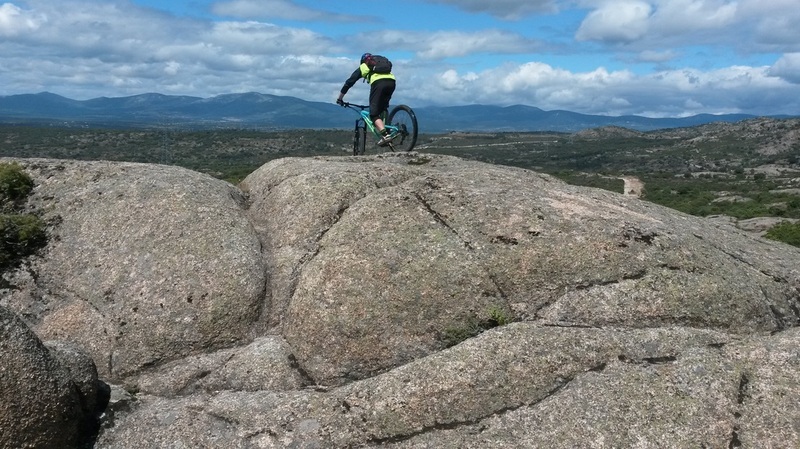 This is just a summary of some of the areas and trails that we have in the Sierra de Madrid. 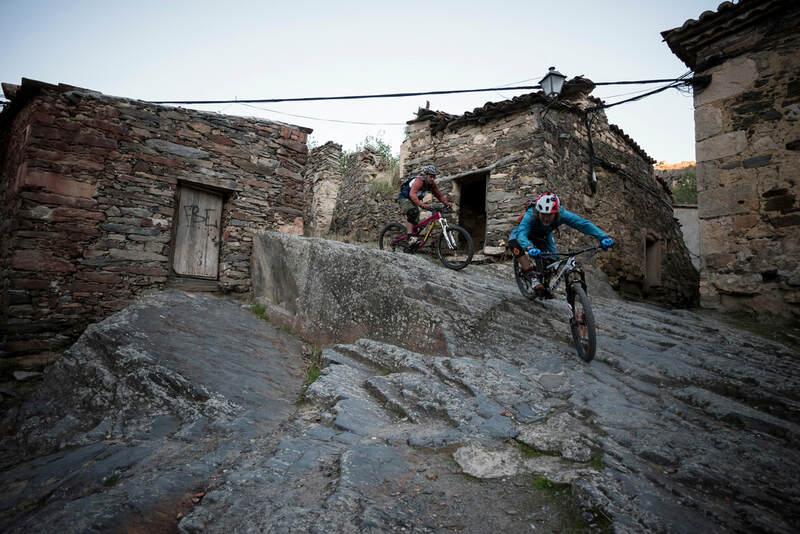 Our guides are experts finding new secret spots to create constant smiles on you!